Our fortuitous and highly productive partnership with YPCCC began in 2007, the day we opened our doors. Earlier that year, YPCCC’s director Anthony Leiserowitz and our Connie Roser-Renouf and Ed Maibach created a research collaboration that soon grew into the signature project of both research centers, the Climate Change in the American Mind (CCAM) project. Since 2008, we have been jointly conducting nationally representative CCAM surveys, usually twice per year. 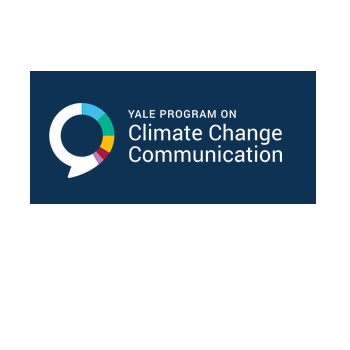 This research has spawned many additional productive Mason/Yale collaborations, including our work with TV weathercasters, our work with health professionals, and our work highlighting the importance of communicating the scientific consensus about human-caused climate change. Click here to visit the YPCCC website.